This mirrored console table is simply stunning. 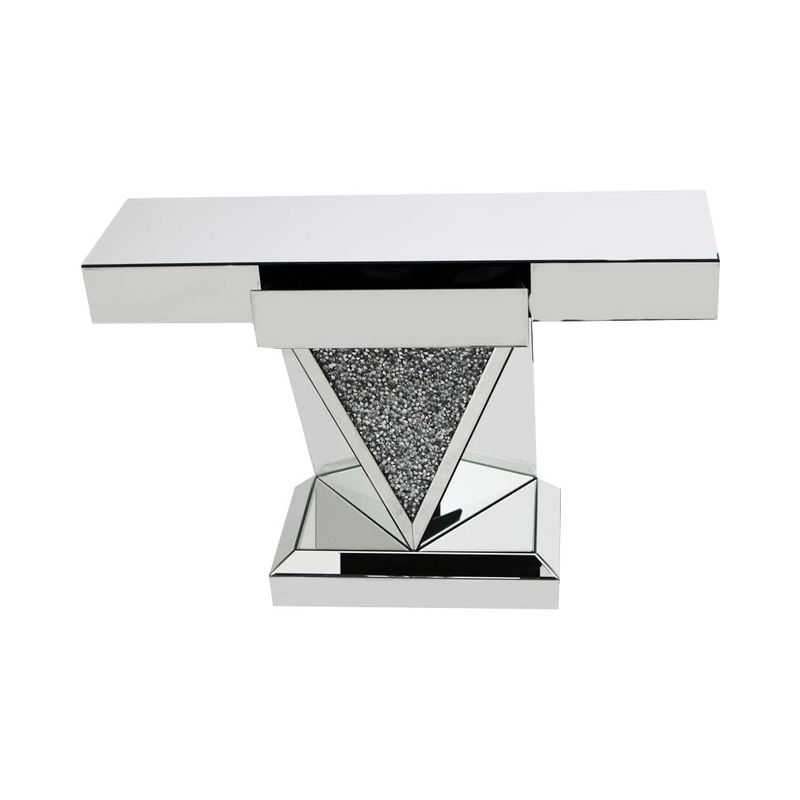 The design of this console table is extremely modern with the simplistic addition of the sparkly triangle in the middle of the table. The console table is also fully equipped with a draw for storage purposes. This mirrored console table is part of the Gatsby collection.